James Adair was born to Ezekiel L. and Mary Adair Lyon near Jonesboro in Washington County, Tennessee, April 19, 1814. He became a communing member of the Jonesboro Presbyterian Church when he professed his faith in Christ in 1831. His college education was completed in 1832 at Washington College in Tennessee; he then moved to the seminary in Princeton, New Jersey, where he received his divinity degree after four years of study. 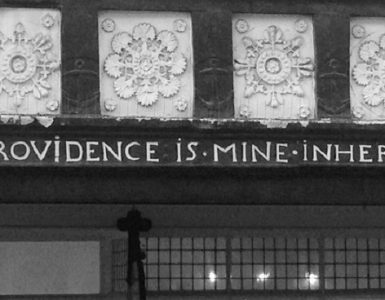 He was licensed by the Presbytery of New Brunswick in 1836. 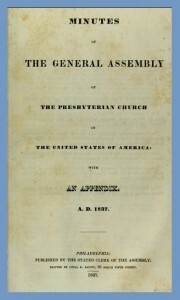 The year 1837 was a particularly eventful one for young ministerial candidate Lyon because after he married Adelaide E. Deadrick of Knoxville, Tennessee, on March 14, the Old and New Schools divided the Presbyterian Church at the General Assembly in May, after which he was ordained by the Old School’s Presbytery of Holston as an evangelist in September. His first ministry as evangelist was to the churches in Rogersville and New Providence, Tennessee. Rev. Lyon’s next call would require him to leave his home state, move southwest across the Tennessee River and the state of Alabama, to settle in Mississippi at the Presbyterian Church in Columbus. Rev. 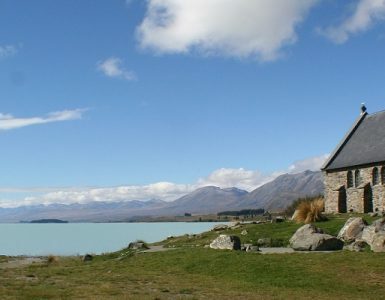 Lyon ministered there as stated supply from October 1841 to May 1847; there is no reason given for his not having been duly installed as the called pastor. Following a year of foreign travel after he left the Columbus Church, he accepted a call to the Westminster Presbyterian Church in St. Louis, Missouri, where he was installed November 15, 1848. After a ministry of only two years, he left the church, and established a Select High School for Young Ladies in St. Louis where he taught for three years. In 1854 his Alma Mater, Washington College, honored him with the Doctor of Divinity, and then in October he returned to his former church in Columbus, Mississippi, where he was duly installed as the pastor on January 7, 1855. 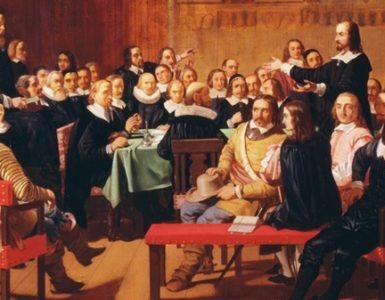 He continued his ministry at Columbus for sixteen years, which when added to his previous service to that congregation as stated supply gives a total of twenty-two years of ministry. One aspect of James Lyon’s life that would have particular significance for the Presbyterian Church in the United States (PCUS) in later years was his influence in establishing the professorship of Natural Science in Connection with Revealed Religion at Columbia Seminary in South Carolina in 1860. The new position was endowed with a large cash gift from Hon. John Perkins, Jr., who was a member of Rev. Lyon’s church in Mississippi. During a visit to Columbia to work out the details regarding the new professorship, Lyon stayed with James H. Thornwell and enjoyed a ride with him in his carriage as they toured the city. Lyon also preached in the First Presbyterian Church on “The Ill Desert of Sin.” The next day he attended the wedding of John B. Adger’s eldest daughter to Rev. Francis Mullally who shared pastoral duties with Thornwell at First Church. 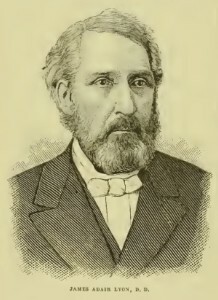 Mullally went on to became the sole pastor in November 1861 when Thornwell resigned due to continuing health problems. James Woodrow was selected as the first Perkins Professor and began teaching in 1861. 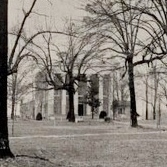 Woodrow’s views on creation and evolution would become the subject of extended controversy in the 1880s in Columbia Seminary and the P.C.U.S. In August 1870, Dr. Lyon was elected Professor of Mental and Moral Science in the University of Mississippi at Oxford, where he worked until he retired in June 1881 due to declining health. 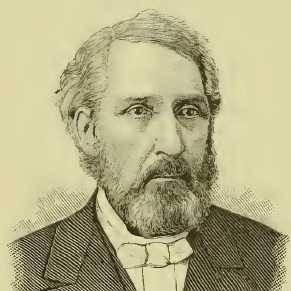 James A. Lyon, D.D., died on May 15, 1882, in Holly Springs, Mississippi, in the home of his son-in-law, Eagleton M. Smith, Esq., following four or five days of paralysis. He was survived by his wife, Adelaide, and six children. Though Dr. Lyon may be an unfamiliar church historical personality today, he was an influential minister in his era. He was selected the moderator of the Presbyterian Church in the Confederate States of America (PCCSA) General Assembly that met in Columbia, South Carolina, in 1863. Lyon contributed several articles to the Southern Presbyterian Review, and his sermons and comments were published in Columbus newspapers and other periodicals including True Witness and Sentinel (Memphis and New Orleans). Though he enjoyed some prominence and accolades to some degree, he seems to have preferred accomplishing his ends as a behind-the-scenes influence. Notes–A PDF of James Woodrow’s retiring moderator’s sermon delivered to the Synod of South Carolina in 1902 titled, “One Lord, One Faith, One Baptism,” is availabe on Presbyterians of the Past by clicking HERE. Sources–This biography was edited for clarity on August 20, 2015 with a few sentences rewritten. The information used for the biography was harvested from standard nineteenth-century Presbyterian biographical sources. Regarding James Woodrow and the evolution controversy, see the Woodrow biography by A. H. Freundt in Dictionary of the Presbyterian and Reformed Tradition in America, editors, Hart and Noll, 1999. See D. Calhoun’s, The Glory of the Lord Risen Upon it, pages 88, 101, regarding Mullally and First Church. You should also mention Lyons’s stance as a Unionist during the Civil War; definitely an unpopular position in the community. See JK Bettersworth, “Mississippi Unionism: The Case of the Reverend James A. Lyon,” J. of Miss. History, 1 (1939), 37-52.